Planning to get new furniture but unable to make full payment? We understand how a home feels incomplete without beautiful and stylish furniture. When it comes to purchasing furniture, Singaporeans only want the best designs and at the best prices. Luxurious sofas, stylish bookshelves and large closets. However, even with discounts and promotions, furniture costs can still be rather high. 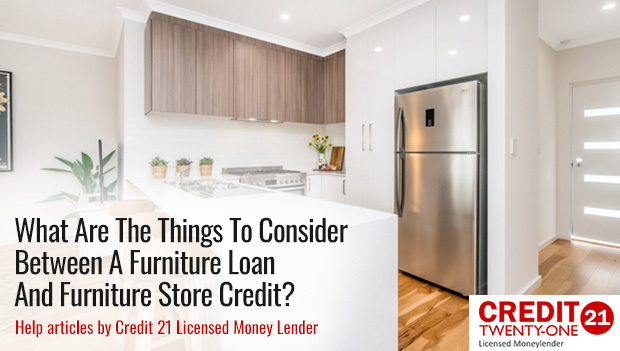 Most people are faced with the options of taking out store credit, taking a personal loan from a traditional bank or a furniture loan from a licensed moneylender. It is important that one thinks through these options carefully before going one way or the other.  What Are The Things To Consider Between A Furniture Loan And Furniture Store Credit? 1. Which is the more available option? Furniture loans are offered by banks and licensed moneylenders while furniture store credit is offered by the furniture store itself. If your credit score is not very high, or if you are foreigner who is not very highly paid and who has not been working very long in the country, it may be difficult to secure a personal loan from banks for your home needs. Banks have stringent requirements for lending. It may be easier to secure money for furniture purchases from licensed moneylenders or from the furniture store itself. Furniture stores will be able to lend you the exact amount you need for the furniture and is readily available. 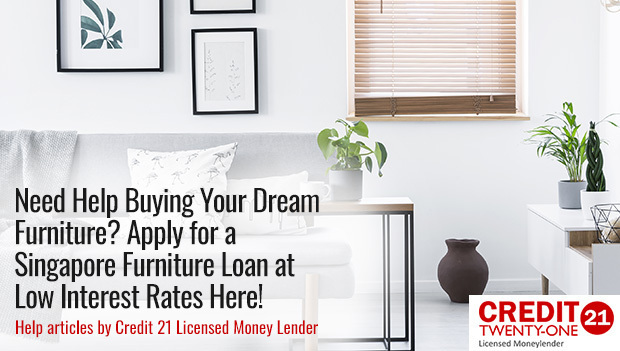 Licensed moneylenders offer personalized furniture loans to meet the needs of their borrowers and are usually able to approve the loans within 24 hours. 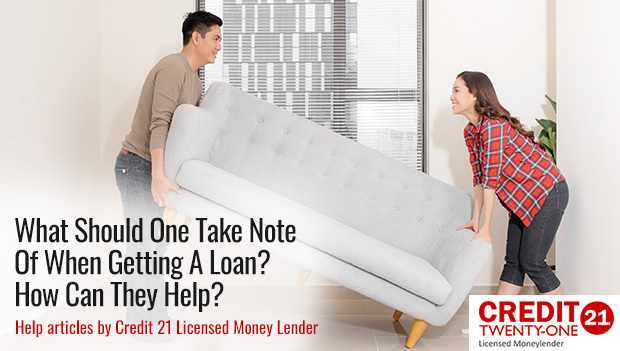 These furniture loans usually allow borrowers to choose their loan tenure. 2. What are the interest rates? How much interest will you be paying in total? Furniture loans or personal loans usually have a loan tenure of 1 to 5 years depending on the amount of money borrowed. Usually, borrowers can choose the amount of time they need to repay the loan. They also tend to have a fixed interest rate that remains low throughout the tenure of the loan. Some furniture stores offer credit at low or no interest rates. However, these usually comes with terms and conditions and may not be available for all products. There might be hidden costs as well. It is therefore prudent to calculate the overall interest rate that you will pay before making a decision. 3. Will the lender repossess my furniture? Although it is troublesome, it is always good to read the fine print of terms and conditions before taking any loan. With store credit, the furniture store has right to repossess the furniture should you fail to make your payments as agreed. This is because they will use the furniture as security for the loan. Store credit is a form of secured loan. Taking a personal loan to purchase furniture is different because many times, the loan is unsecured. This means that they do not require collateral and do not have a right to repossess the furniture even if you are unable to make the repayments every month. Most Singaporeans prefer furniture loans that come in the form of a personal loan. These loans are readily available from traditional banks and licensed moneylenders. This is because they are given greater freedom and flexibility to plan and budget their furniture purchase. They are not limited to the items from only one furniture store but have the option to get their furniture from various shops. That said, one must make sure that they are well-matched to the right moneylender and get the best deal for themselves. What Should One Take Note Of When Getting A Loan? How Can They Help? Getting a furniture loan helps one bring their dream furniture home. You no longer have to scrimp and save or limit your choices when choosing your new furniture. These furniture pieces are usually meant to last a couple of years so it will be wise to invest in quality and a design that you like. You can bring home the sofa or tables or shelves that you love to beautify your home. In other cases, new and better furniture might be needed for bigger families. That being said, there are a few points to take note when getting a furniture loan. Resist taking more money than you need even when you can afford to repay it. Do not over-borrow. This only raises your TDSR, which is better left low. In fact, your goal should always be to lower the amount of debt you have so that in the event that you have any financial emergencies, you will be able to take it without worrying about hitting your 60% cap. Take enough to pay for your furniture. 2. Consider how much you earn. Most lenders will give you money based on how much you bring home every month. Some offer 3 to 4 times your monthly income while others will be happy to give you as much as 6 times more. If you are a low income earner, chances are that you will only get 3 to 4 times what you earn. If you have more disposable income, then you will likely be able to get 6 times more. Figure out how much you can actually borrow before putting in an application. Also, a good lender will always take your salary into account so that you will only borrow the right amount. The lender will have to look at this, so it is important that you do the same prior to applying for a loan. This is basically how much money you are using to pay off loans every month. The loans are all inclusive: personal loans, car loans, mortgage, education loans and the like. This figure should be below 60% inclusive of the new loan that you need to take for the purchase of furniture. If you are almost at 60%, it is prudent to first pay off some of your debt before signing up for additional loans. In addition to this, you will need to consider other factors such as the loan tenures. Remember that the best thing is to pay off a loan in as short a time as possible, so consider this when looking at monthly repayments versus loan tenure. Ask about flexibility of the terms of the loan just in case something happens along the way. For example, will you be able to make reasonable adjustments such as lowering monthly repayments and increasing tenures in the event of unexpected unemployment of medical emergencies? It should be a win-win situation for yourself and the lender. If you have any questions about the furniture loans or require any financial help, feel free to speak with our professional consultants today.